Shortly after sunset, Ducky, Ted, and Blizzard ran to the the library to ask Pembleton if it was time to use the telescope. After looking at the clock on the wall, Pembleton said it was time. They went on the patio and carefully set up the telescope. First Pembleton used the view finder to locate the north star. Once the telescope was in position, he adjusted the focus so that the view was crystal clear. “Who wants to go first?” Pembleton asked. “Me! Me!” shouted Blizzard. But Blizzard was to short to reach the eye piece. Ducky had to retrieve a stool from the mudroom. Then Ducky lifted him up on to the stool and Blizzard was able to see. “WOW! There are so many stars! They are HUGE! It’s unbelievable.” Blizzard shouted with excitement. “My turn! My turn!” Ted yelled as he jumped up and down. They each took turns as Pembleton explained the different constellations and planets. Part 2 What’s in the Package? “My package has already arrived?” Pembleton asked. He had ordered a special telescope, a Newtonian telescope to be exact. “What is your telescope for?” Ducky asked. “I need it to study exo-planets.” Pembleton said matter of factly. “Exo-whato?” Ted and Blizzard asked scratching their heads. “I didn’t know there were planets shaped like the letter ‘X’.” Ducky said. Earlier today a package arrived at our front door. Ducky was so excited to see such a large package waiting at our door. He knew it had to be for him. Over the past couple of weeks he has been hinting that he would like a “Rock’em Sock’em Robot” set. As he jumped up and down in excitement, Ted and Blizzard tried to read the name on the package. It was a long word that started with a “P”. “Ducky, what long word starts with a ‘P’?” Ted asked. Ducky was a little sad. He was really hoping it would be a new toy for him. Shortly after hearing the commotion. Pembleton came out of the family library and asked what was going on. “You have a package.” Ted and Blizzard exclaimed in unison. Late last night Ted and Blizzard woke up Ducky and Pembleton. They couldn’t sleep because they were hearing scary noises coming from the kitchen. Ducky and Pembleton gave Ted and Blizzard a drink of water and told them that the noise was probably just their imagination. They told Ted and Blizzard to try to go back to sleep. While Ducky was trying to go back to bed, he suddenly became aware of strange crunching noises in the kitchen. Pembleton heard the noise too. Ted and Blizzard were too scared to move, so it was up to Ducky and Pembleton to find out what was going on. They turned on the light in the kitchen and opened the cabinets. Right under the kitchen sink, they were surprised to find Rumplestiltskin. “Whoa! 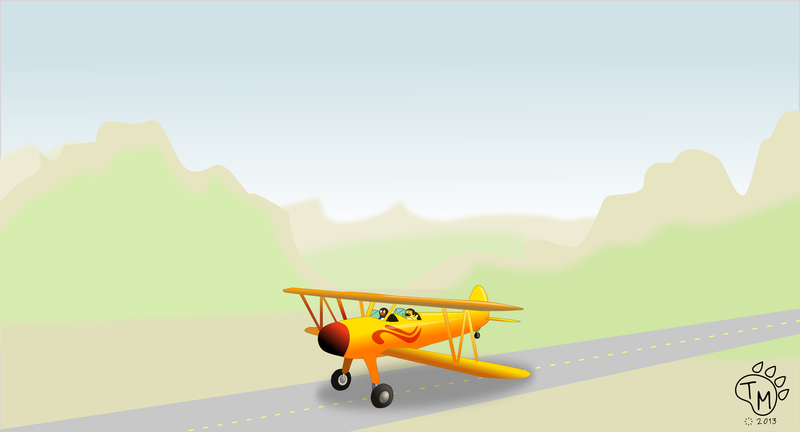 How did you get all the way to Israel?”, Ducky asked. Rumplestiltskin explained that all “mice” know about a transatlantic sewer pipe that they can use to travel around the world. Rumplestiltskin had missed Ducky in Texas and caught a whiff of his scent and followed his nose right to Ducky’s new home in Israel. Pembleton was a little annoyed that Rumplestiltskin came without even warning them, but Ducky was so happy to see his old friend that Pembleton tolerated the visit. Do you have any more jelly? Ducky, Pembleton, and the rest of the gang work hard at being Animal Rescuers. Their organization “Dt Pb” (Ducky Ted Pembleton & Blizzard) thinks it is important to help any animal in need, no matter how big or small the problem may be. However, some animals are not aware of Dt Pb services. So Ducky and Pembleton are working on a new logo to help them make more animals aware of the Dt Pb services. What do you think of their new logo? The faces of Animal Rescuers! 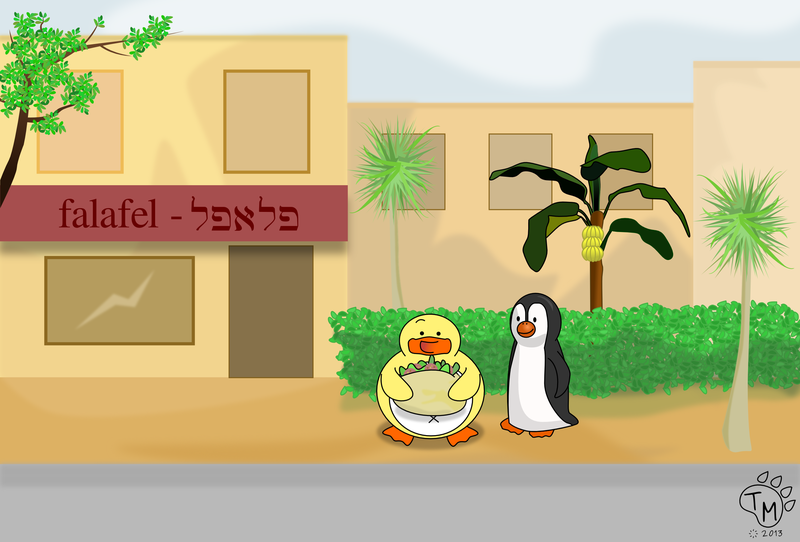 Even though Ducky has been having lots of fun and trying lots of new things, he has been having a hard time since moving to Israel. He hasn’t made many new friends yet. So it was really hard for him today, because today is Ducky’s birthday. All day Ducky kept telling Pembleton about how he wished his friends were here to celebrate his birthday and that his birthday just wouldn’t be the same without his friends. Ducky was so sad to think that no one here even knew it was his birthday. Just when Ducky thought he was going to cry, Pembleton told Ducky that he needed him to go down to the bakery to pick up some bread for dinner. When Ducky stepped inside the bakery, a group of familiar faces shouted, “SURPRISE!”. It was Ducky’s friends. Amanda Panda, Penelope Penguin, Edgar Elephant, and even the Lambs were there. Ted and Blizzard sang and danced. There were presents, a giant orange cake, and a sign that said “Happy Birthday Ducky”. Ducky’s got to wear his sheriffs outfit and everyone sang him Happy Birthday. It was Ducky’s best birthday ever. Did you know you can ski in Israel? When Pembleton found out Mt. 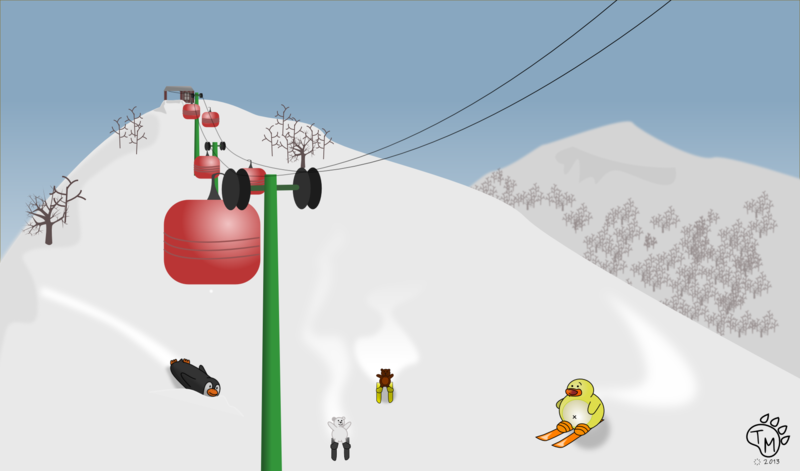 Hermon had snow and a ski resort, he couldn’t wait to take Ted and Blizzard on their first skiing adventure. Who would have known it would be in Israel? Even though it was Ted and Blizzard’s first time skiing, they caught on very quickly. Pembleton instructed them on some basic techniques: to go forward keep your skis straight like french fries, to slow down and stop wedge your skis like a slice of pizza and to turn move your hips slightly in the direction you want to go. By the end of the end of the day, the little guys had skiing the bunny slope mastered. Ducky on the other hand, had some problems. Ducky has been enjoying the food in Israel. He has been trying new things every day, but Pembleton has been a little less adventurous. Today, Pembleton bumped into Ducky during lunchtime. Ducky was holding a huge stuff sandwich with little balls, cabbage, tomatoes, and onions inside. “Stop asking questions, just eat!” Ducky shouted as he passed Pembleton his enormous sandwich.